(North South Network/VCP/Burg Rieneck) – The North-South Network, an informal platform of several National Scout Organisations of WOSM as well as Member Organisations of WAGGGS, twice yearly gathers representatives involved in bi- or multilateral partnership projects with other Scout and Guide Associations in various parts of the world. 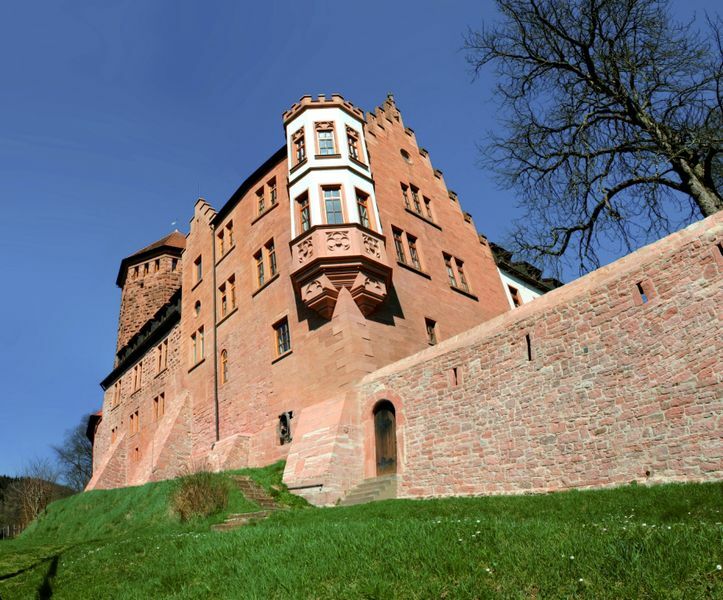 This autumn, the Network will meet at the romantic Burg Rieneck in Germany, a National Scout Centres of VCP, one of the three National Scout Associations in Germany. The meeting will take place from 19 to 21 October 2012 and is hosted and organised by members of the German associations DPSG, VCP, MSdS/PBS from Switzerland and SGdF from France. During the three-day gathering, participants will have plenty of opportunities to share information on current and future partnership projects, to identify potentials of closer co-operation of European associations with similar projects and partner countries in the South, to share information on development education projects and related materials, as well as to encourage associations to consider developing partnership projects. So, if you or your association is involved in partnership projects or considering launching such a project, do not miss the deadline of registration set on 28 September 2012 and use this networking opportunity! Further information about the event is available on europak-online.net. For details about the venue, check the website of Burg Rieneck.